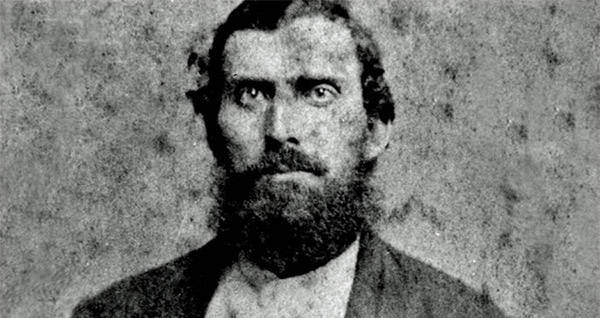 Newton Knight And The True Story Of The "Free State Of Jones"
Newton Knight led a small army of fugitive slaves and Confederate deserters in one of the most rebellious moves American history has ever seen. Wikimedia CommonsNewton Knight, leader of Knight’s Company. In the backwoods of Mississippi, there lies a tiny plot of land called Jones County, better known as the Free State of Jones. During the Civil War, the Free State of Jones was established by a man named Newton Knight, who did one of the most unthinkable things a white southern man at that time could do – took on the Confederacy, and won. 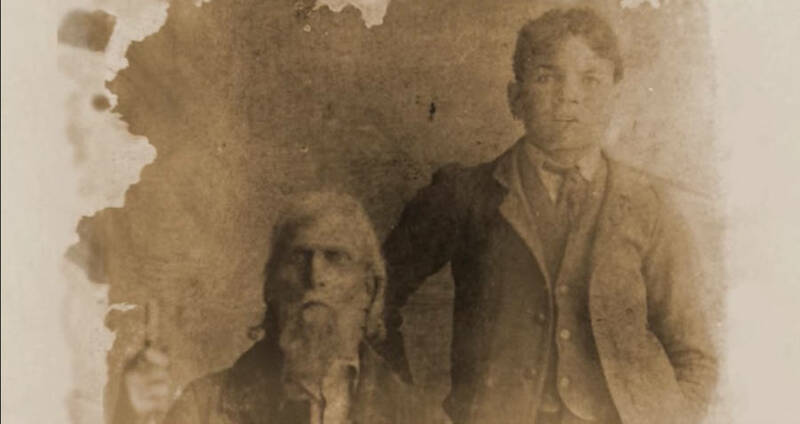 In 1864, a ragtag army comprised of local farmers and runaway slaves hoisted the flag of the United States over the Ellisville county courthouse in Jones County, Mississippi. The group then sent a letter to General William Tecumseh Sherman, declaring their secession from the Confederacy. The land upon which they stood would no longer be a part of the Confederate States of America but would consider itself a piece of the Union. Though the occasion was a momentous one, getting to it hadn’t been easy. 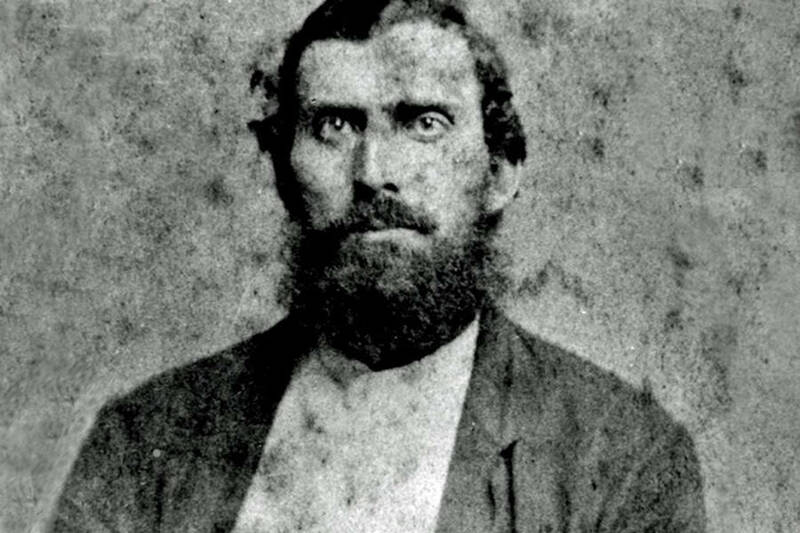 Newton Knight and his unlikely cavalry had been fighting for the Free State of Jones ever since Knight was a child, raised to oppose the Confederacy and all that it stood for. While his paternal grandfather had been a slave owner, one of the largest in the county, neither Knight or his father owned slaves. In a deviation from the southern norm, he and his wife Serena ran their farm on the outskirts of town on their own with their children, free of any help from slaves or indentured servants. While he owned no slaves, Knight was still a proud southern gentleman. As a noble southern man, when the time rolled around for Knight to enlist in the war, he naturally joined the Confederate Army. Soon, however, the Confederate army began to betray him. While the entire Confederate army was suffering from food shortages and a general lack of supplies, the soldiers from Jones County had become especially targeted. Their wives were finding it hard to run the family farms in their husband’s absences, and worse, the Confederacy had begun to take their horses and farm animals for their own use. Upon learning what the army was doing, Newton Knight decided he’d had enough. Along with several soldiers from Jones County, he deserted the Confederacy, returning to his hometown to form his own rebellion army. Known as the Knight Company, the guerrilla army took in anyone and everyone who wished to support the Union. Fugitive slaves, other Confederate deserters, and even wives and daughters of the soldiers all joined the Knight Company. They built hideouts all along the Leaf River, and throughout the backcountry, using passwords and speaking in code to avoid their locations being compromised. Those who were able-bodied spent their time evading Confederate soldiers, helping others avoid capture, and attempting to break through Confederate lines to join the Union army. Those who couldn’t fight contributed to Newton Knight’s efforts in other ways, serving as lookouts, cooking, cleaning, and tending to their wounded. From their formation around 1862 until their takeover of the Free State of Jones, Knight’s Company fought roughly 14 skirmishes against the Confederacy. Rumors of a powerful contingent of civilians with the shocking ability to overthrow trained soldiers slowly began making their way to various general’s ears, though no aid was sent to the Confederate soldiers. The taking of Ellisville marked the beginning of the end of the Civil War. The Confederates backed down from Jones County, and eventually backed down altogether. Knight’s Company disbanded, and the soldiers returned to their respective farms, attempting to rebuild what had been lost during the war. The county received little Reconstruction funding, as Knight’s Company had been an unofficial military organization, but for the most part, it managed to rebuild itself. YouTubeNewton Knight and one of his sons with Rachel Knight. Newton Knight returned home and took up a job freeing black children from white masters who were refusing to emancipate them. He further stirred the pot when, rather than move back in with his wife, he took up residence with one of his grandfather’s former slaves, Rachel. Together they had five children, most of whom married some of Newton’s first wife Serena’s nine children. Before long, the town was almost entirely made up of mixed race children with at least one branch of their family tree tracing back to Newton Knight’s roots. Today, the Free State of Jones is back to being known as Jones County. It is a swampy, rural area, dotted with churches and blue-collar establishments. Though it was once the site of the most revolutionary Civil War rebellion, its residents now favor a more conservative approach. The Ellisville county courthouse even has a Confederate monument standing next to it, any indication of its part in anti-Confederate history noticeably absent. The residents of Jones County, for the most part, avoid the town of Soso, where Knight’s descendants live. The older generations still think of Newton Knight as a traitor, more so for the fact that he married a black woman than the fact that he betrayed the Confederacy, though they’d never admit it. To an outsider, the town looks like any other southern town, proud of their Confederate heritage and still wary of liberalism. But throughout the town, there are still those who remember the tales of Newton Knight and the Knight’s Company, and the legacy which he left upon the town. After learning about Newton Knight and the real story behind “Free State Of Jones”, check out these haunting images that capture the darkness of the Civil War. Then, read about Robert Smalls’ gallant escape from slavery.